Knowing how to protect your home and keep your family safe before a harsh winter storm is very important, but understanding the meaning of winter weather alerts is just as vital. It could make all the difference when it comes to the safety and security of your family and property. 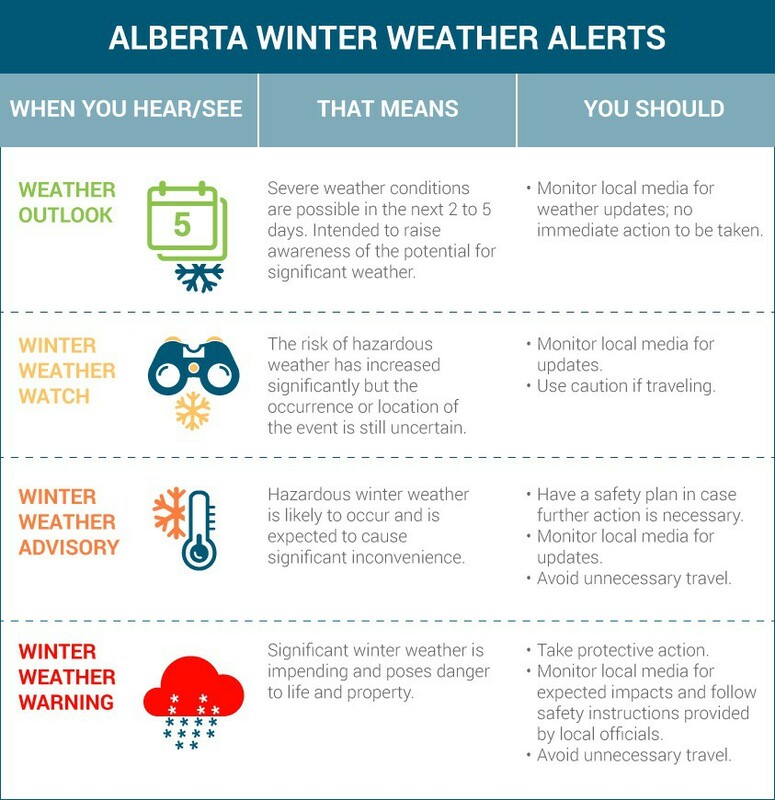 Environment and Climate Change Canada issues various weather alerts that include severe winter weather conditions ranging from substantial precipitation (heavy snowfall, freezing rain, etc. ), extreme cold and wind chill, to major storms (a combination of hazardous winter weather conditions). Use this chart to understand the significance of each alert and the necessary precautions to take during a winter weather event.